Jennifer joined the Front Range coaching staff in 2012. An alumna of FRVBC, Jennifer played for the club from 2001 to 2008. 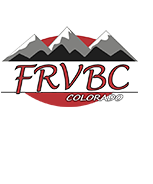 In 2002, 2003, 2006, and 2008 Jennifer played on FRVBC teams that qualified for the Junior Olympic Volleyball Championships. In 2008, Jennifer’s team, 18 Black, won the Big South National Qualifier earning them a bid to the Junior Olympic Championships in Dallas, Texas, where they placed fifth in the nation. From 2008 to 2012 Jennifer attended Hendrix College in Conway, Arkansas, where she continued her volleyball career at the collegiate level. In 2010 and 2011 Jennifer made the SCAC All-Academic Team, and in 2011 Jennifer earned a spot on the SCAC All-Sportsmanship Team. Jennifer graduated in 2012 with a Bachelor of Arts Degree in History. Jennifer is the Sophomore Volleyball Coach at Bear Creek High School in Lakewood, of which she is also an alumna. Jennifer has coached the Freshman and Sophomore teams at Bear Creek, in addition to assisting the Varsity team since 2012. Jennifer has Head Coached 12-2 Rose, 13-1 Scarlet, 14-2 Royal and 14-1 Amber, and has also worked as the Assistant Coach on 12-1 Pink and 14-1 Amber. In addition to coaching, Jennifer also works full-time at Front Range as the Collegiate Recruiting Coordinator.